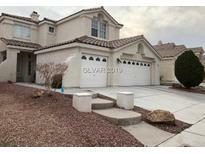 Below you can view all the homes for sale in the Echoes subdivision located in North Las Vegas Nevada. 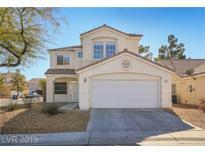 Listings in Echoes are updated daily from data we receive from the Las Vegas multiple listing service. To learn more about any of these homes or to receive custom notifications when a new property is listed for sale in Echoes, give us a call at 702-323-5963. Convenient Floorplan With 3 Bed And 2 Bath, Vaulted Ceilings, Fireplace , Large Eat In Kitchen *** Upgrades Galore - New Designers Tile, New Light Fixtures, Espresso Stained Kitchen Cabinets, New Granite Countertops, New Baseboards, New Paint, New Upgraded Carpet, Ceiling Fans *** Low Maintenance Yard *** Welcome Home! MLS#2079896. Realty ONE Group, Inc. Welcome Home To This Beautiful, Fully Remodeled, And Move In Ready Single Story In A Gated Community*open Floor Plan*large Living Room*formal Dining*separate Family Room*high Vaulted Ceilings*new Granite Counter In Kitchen*new Paint And Laminate Hardwood Flooring Throughout*large Master Bedroom With Separate Tub & Shower*walk In Closet*fireplace*covered Patio And More! *nice Curb Appeal*a Must See! MLS#2072133. Executive Realty Services. 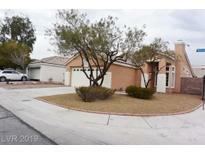 Minutes from local casinos, restaurants and shopping. Don't Miss out! MLS#2059258. Realty ONE Group, Inc. This home is of the Falls Hidden Canyon HOA. MLS#2058960. Opendoor Brokerage LLC. This home is a part of Falls at Hidden Canyon HOA. MLS#2056233. Opendoor Brokerage LLC. Includes Kitchen appliances and has a garage converted into a 4th bedroom with wood floors and drywall. Come see this home! 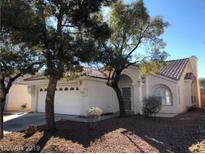 MLS#2052878. Keller Williams Realty Las Vegas. Easy Desert landscaping. A MUST SEE! MLS#2046988. Realty ONE Group, Inc.